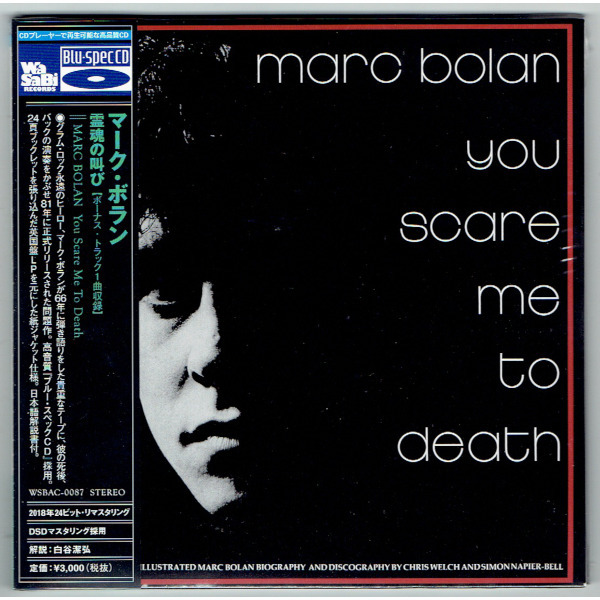 The album of Marc Bolan. This copy comes with 8cm Promo CD [WSBPROMO-026]. Included 1 track "You Scare Me To Death". Mini LP CD (Gatefold sleeve type) with OBI & 8cm Promo CD.